Check out our New Products Page to see the great new designs that we have in stock. Dream-catchers are very popular and are traditionaly hung over peoples beds to protect them from nightmares. Our new belly bars incorporate the dream catcher design with an unusal heart shape and 3 dangling feathers, they are available in 4 colourways, purple, aquamarine, pink and clear. 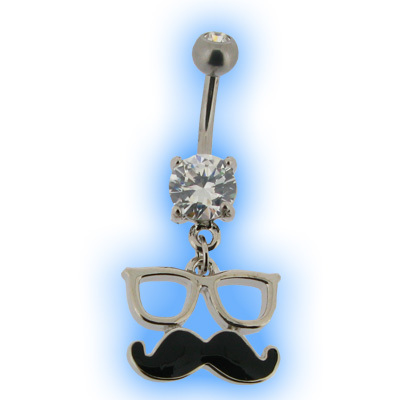 Following on from the popular Moustache Belly Bars we love these "Master of Disguise" Belly bars with a dangling pair of glasses and black mustache, they are so cute and a very unique design with a clear gem top ball. 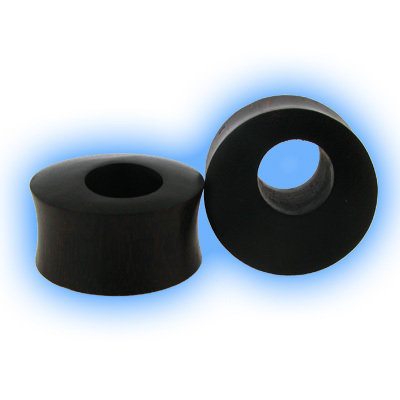 We also have some organic Tamarind wood ear plugs for stretched lobes, these are pretty unusual, they are a slightly flared plug so they do not require any o rings and they have an offset cu out hole. They are avaialble in 6mm through to 25mm. 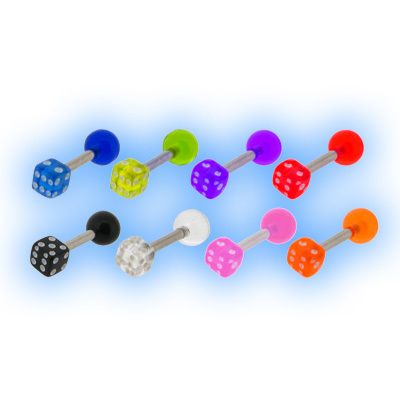 Lots and lots of you use our "Build your own Barbell" to make your own 1.2mm barbells with acrylic dice so we thought that these cute dice barbells would be really popular, they are available in lots of different colours and look really cute in ear piercings. There are lots more new designs, please do have a look at the new products page and check them all out.